In the hotel there are 20 rooms of different planning. 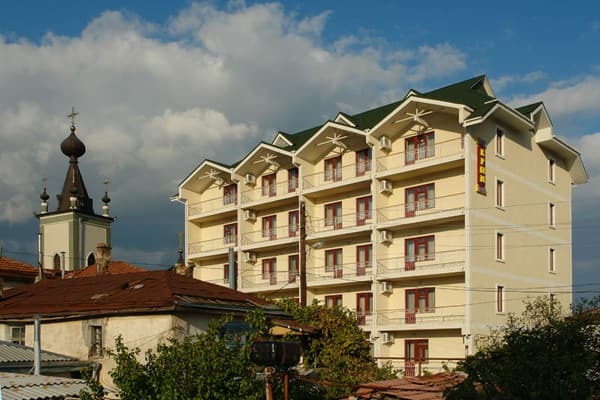 Each room is equipped with a kitchen, bathroom unit, balcony (in some rooms there are several balconies), the furniture in the room is made of natural wood, inlaid floor, climate-control, fridge, TVset, fire and security alarm. The balconies overlook the Crimean mountains and sea. 400m to the sea shore. Admission to the beach. Description of the room: One room, kitchen-dining room, bathroom and shower combined, large balcony. 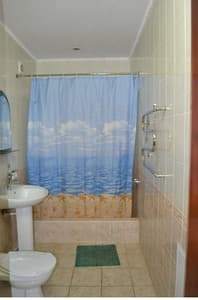 Description of the room: One room apartment with a double bed, kitchen, bathroom. Description of the room: Single room. One bedroom with double bed, two armchairs beds, kitchen, bathroom (WC, shower). Perhaps an additional population of 2 persons. 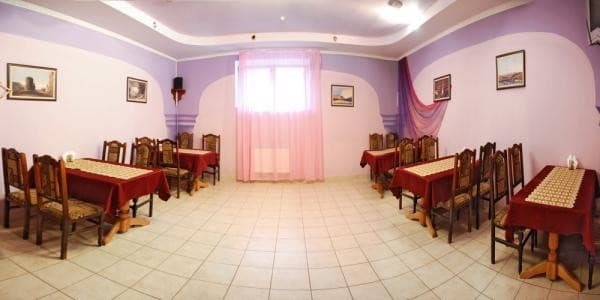 Description of the room: Two bedrooms, beds with orthopedic mattresses, large balconies in every room, large hall, kitchen, bathroom (WC, shower). Perhaps an additional settlement of 2 people. Близко к пляжу (5-7 мин. 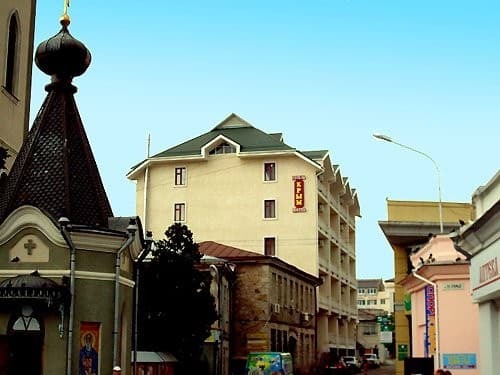 ), просторные номера (полулюкс порядка 60 кв.м), тихое место (кроме воскресного утра - отель находится сразу после церкви и утром проснулись под хоровое пение). Завтрак - гречка, сосиска, 1 ломтик сыра, 1 кусочек колбаски, 5 гр масла, холодный чай, хлеб. Просторно,чисто,уютно и, самое главное, свежо. Единственная что не понравился отсутствие возможности самостоятельно приготовить пищу. Extra places are given to children for 50UAH. Children under 6 are accommodated free of charge, on condition if on the same bed with parents. 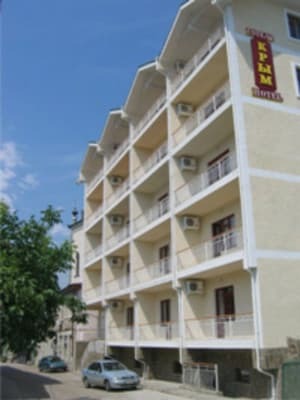 The hotel Krym is situated in the centre of Alushta. On the central hill that overlooks the city, the Crimean mountains and the sea. Near the hotel there is a market, drugstore, shops. In the neighbouring building there is a bank with currency exchange, where operations with plastic cards of the international purchasing system are possible, there are individual safes.